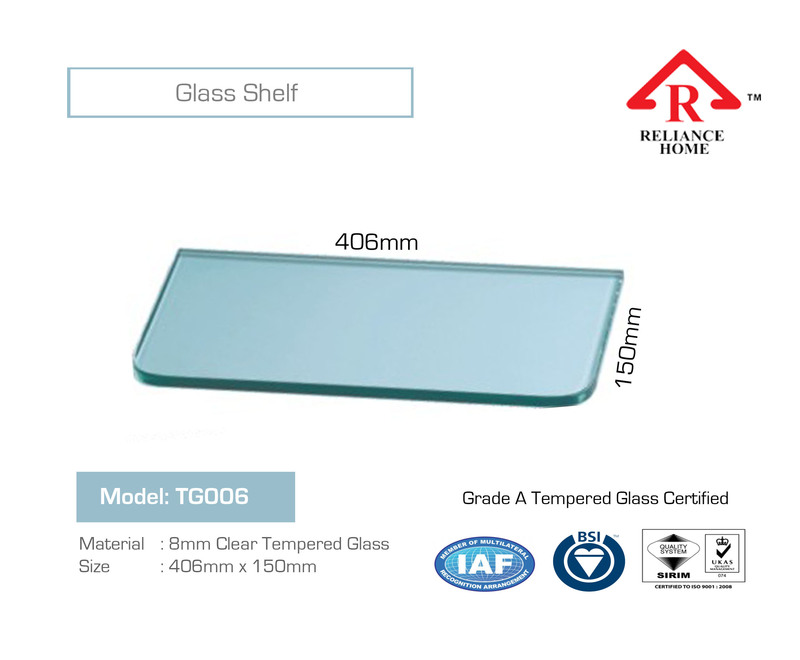 SIZE: 508MM X 150MMGRADE A Tempered Glass CERTIFIEDTempered glass – extra resistant to heat, impact and heavy loads. 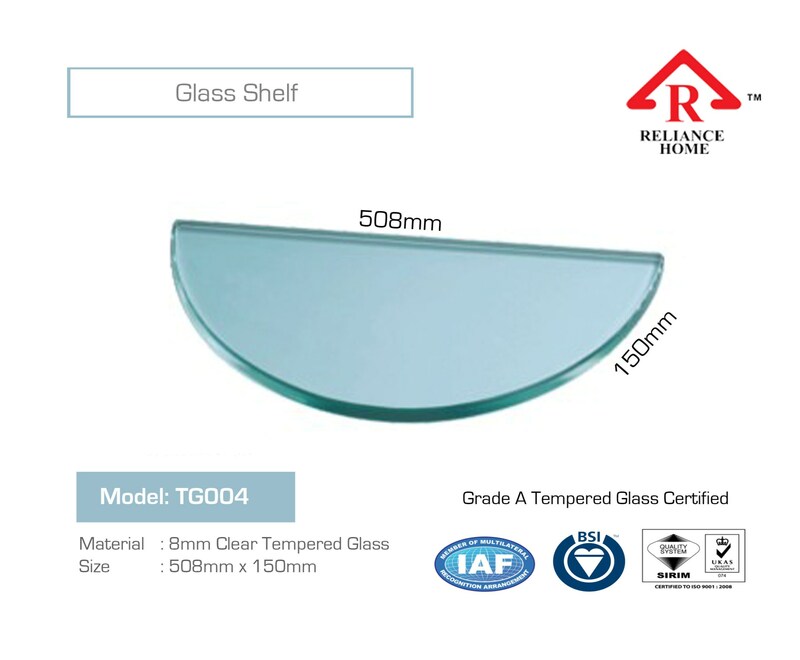 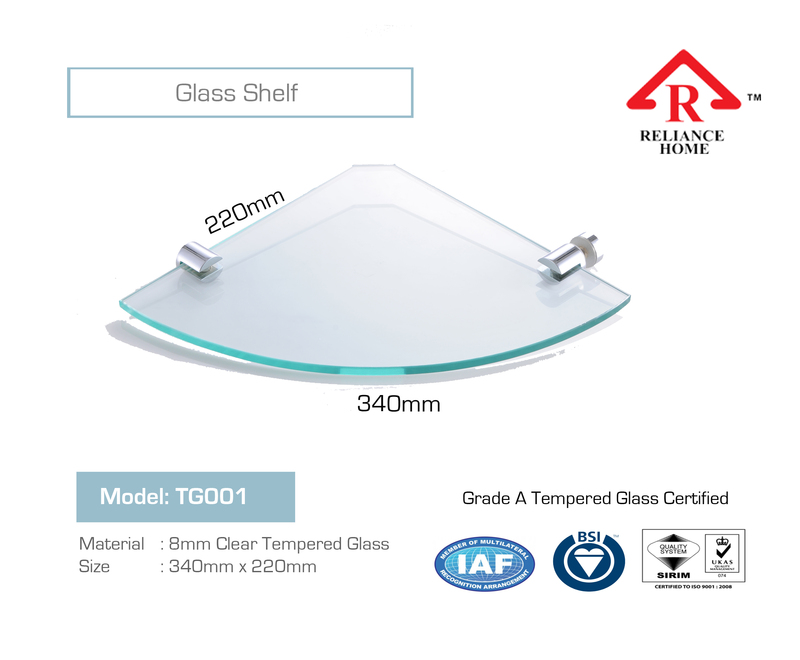 The Tempered Glass shelf is stain resistant and easy to keep clean.In Reliance Home, we provide a whole range of Glass Shelves. 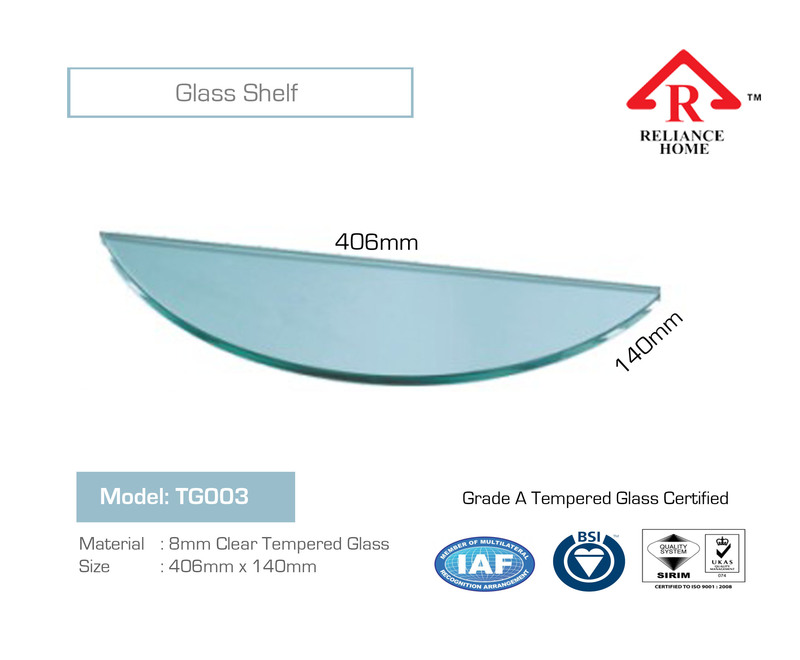 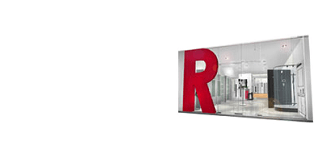 You can customize your Glass Shelves at Reliance Home. 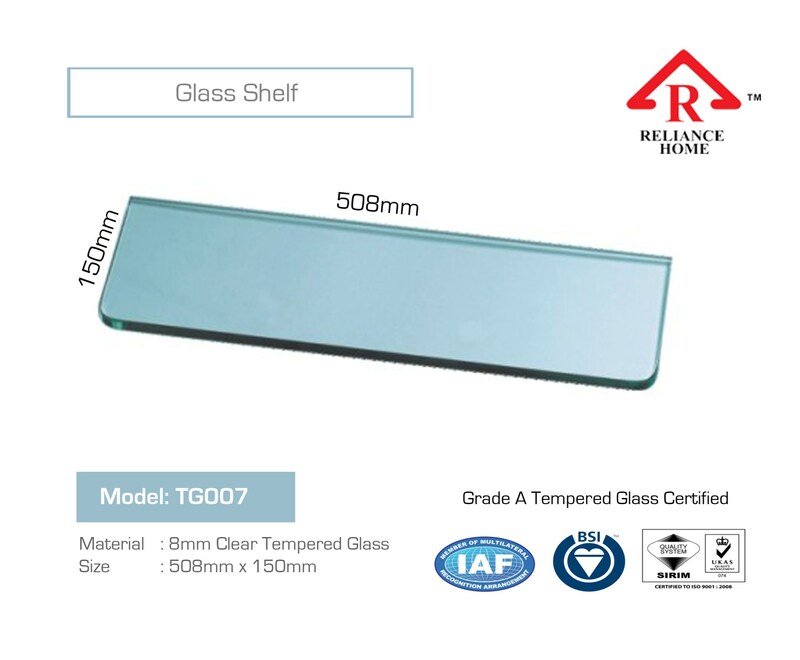 Choose your Glass Shelves type, size, and matching hardware. 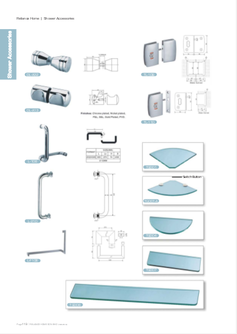 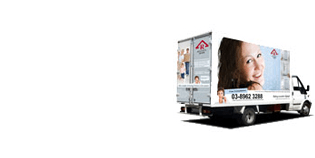 we can fulfill your every need.